Four out of the 48 self-driving cars on public roads in California have been involved in accidents in the last eight months, according to the state's Department of Motor Vehicles. 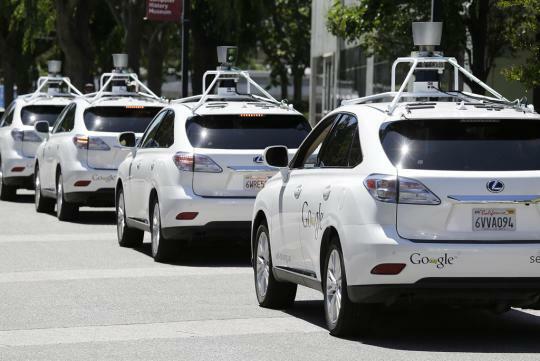 The agency began issuing permits for the testing of autonomous vehicles in September 2014. Three of the four cars belonged to Google, the fourth to parts supplier Delphi. Both firms denied their vehicles had been at fault. Under Californian law, details of car accidents remain confidential. However, Google said its driverless cars had never been the cause of an accident, and that the majority of "minor fender-benders" had been in the form of rear-end collisions from other drivers. "Safety is our highest priority. Since the start of our programme six years ago, we've driven nearly a million miles autonomously, on both freeways and city streets, without causing a single accident," said a spokesperson. It is understood that the vehicle was hit while stationary at a crossroads and was in manual driving mode at the time. "A police report indicates the fault of the accident is with the second vehicle, not Delphi. No-one was hurt in the incident," said a spokesperson. An anonymous source told the Associated Press that two of the accidents occurred while the vehicles were occupied by human drivers, and all four vehicles were going very slowly at the time of the collisions. I'm still skeptical. Not exactly receptive to new technology.